I am a Kindergarten Spanish Classroom Teacher. I find it fun, challenging, and very rewarding! I love Spanish, cooking, and traveling. When I’m not at school I spend lots of time with my many brothers and sisters (I’m one of 6)! I love seeing students excited to learn and succeed. When a Kindergartener is proud and brags to me “I can read this by myself”, it’s a wonderful moment. 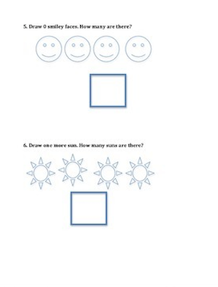 I love my Math Module Whole Group Assessments because they are the items I have created that have saved me SO much time. 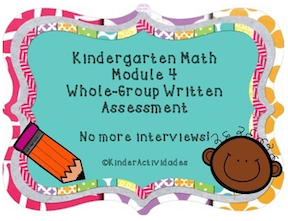 I can forgo the one-on-one interviews required by the EngageNY Math Modules and test whole-group! 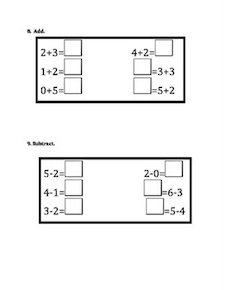 This lets me spend more time reviewing and teaching, and less time testing. 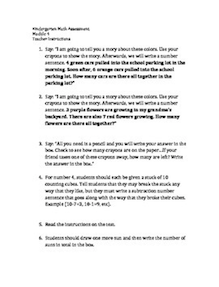 Step by step directions for whole group assessment and simple clear pages so that students can easily follow directions without working ahead! I’d say to post things that you find very useful in your classroom! If they are valuable and kid-tested, then others can benefit from your successes. My earnings allow me to purchase other products that are great for my classroom. They also allow me to invest in clipart that can improve my own products. I’d love to be able to use my future TpT earnings to help fund some of my hobbies outside of my career. I love the resources available to me: training, tips, other professionals, others’ expertise, etc. Sharing experience and knowledge with other teachers and sellers is exciting and eye-opening.